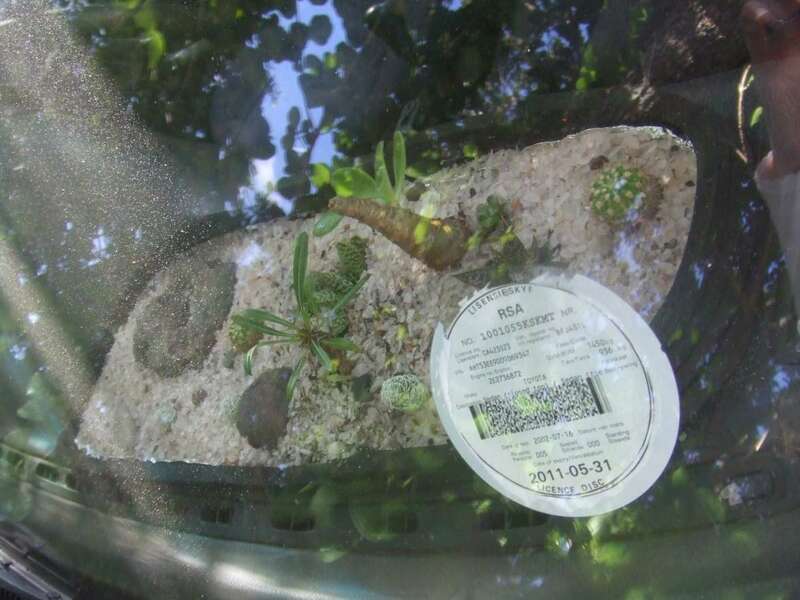 We promised in our last Blog post that we would feature photos of your vegetable garden. 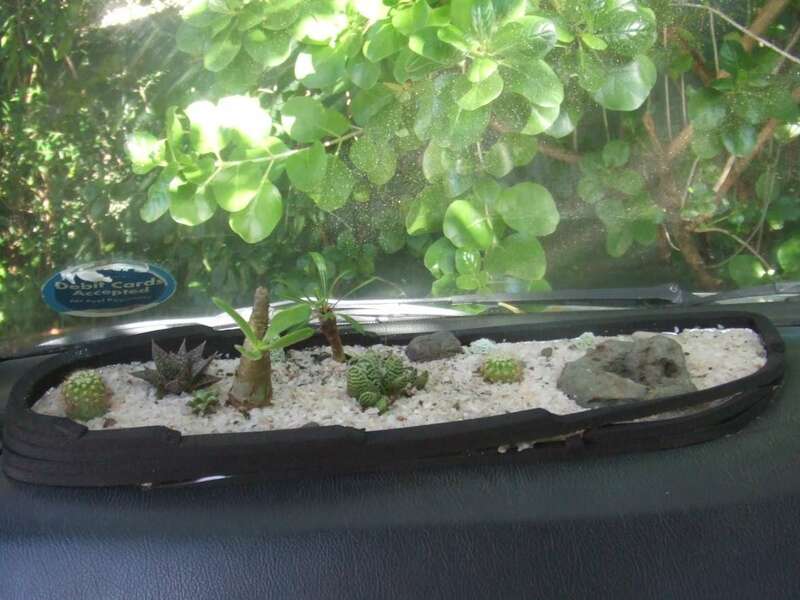 We received these pictures from Reuben in Observatory who has created an indigenous succulent garden… in his car! 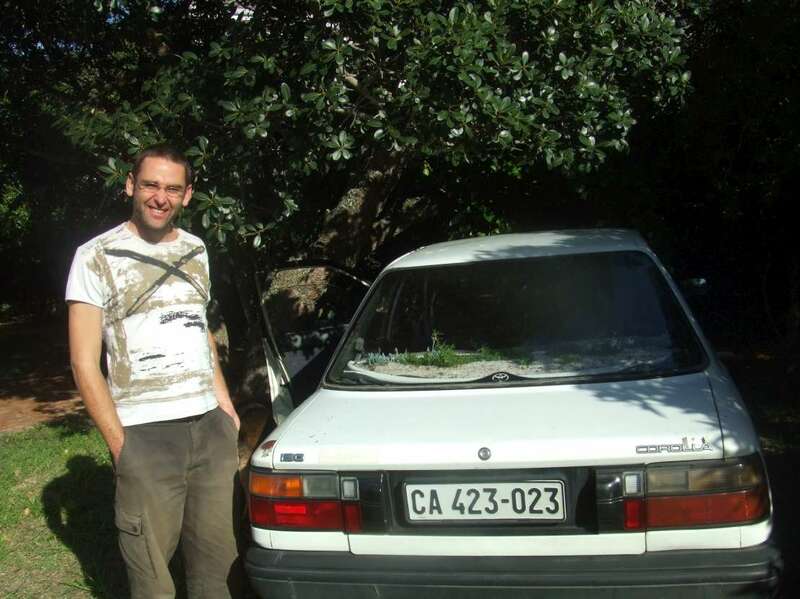 This entry was posted in Sustainable living and tagged Cape Town, Climate Champions, Sustainability. Bookmark the permalink. This is way too cool! 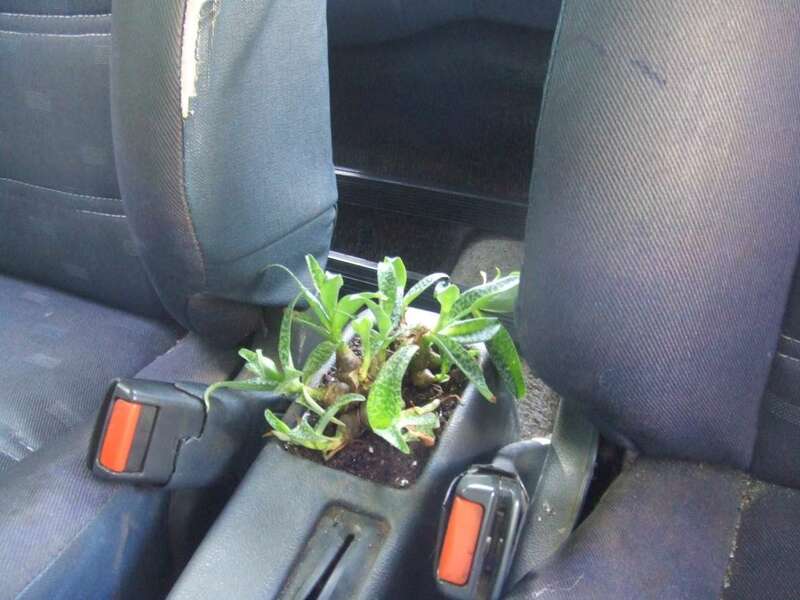 Fantastic idea Reuben! Nice going Reuben. 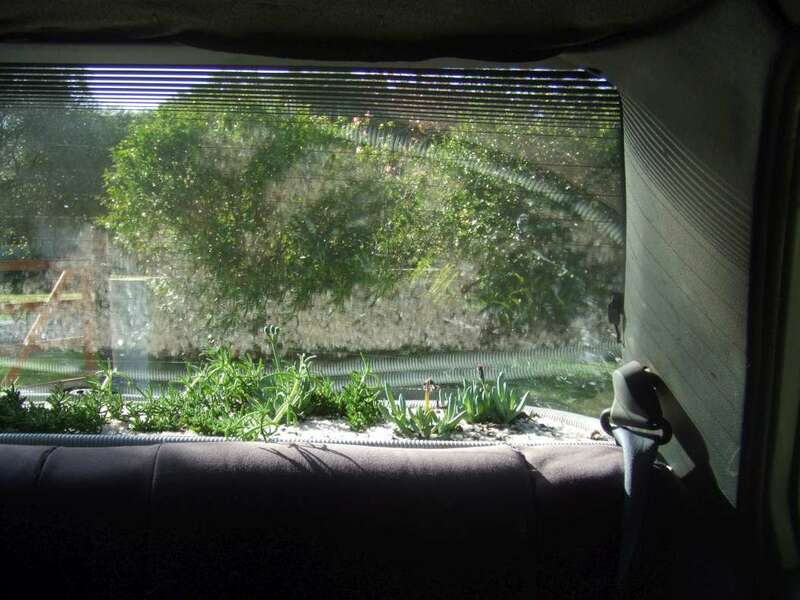 Does this help you imagine you are in the jungle when you stuck in traffic? Just need the Roberts bird tape and you are set! Reuben, you are a genius and also taking the time to show us. You have made my heart smile this Monday morning.